An operatic goldfish, Buddha and Jesus dancing the foxtrot - just whimsical bits in this directors funny, touching, thoroughly enchanting feature debut. Exceptional! A slice of delicately childhood. Eve is a precocious nine year-old girl with a wild imagination growing up in a traditional Chinese immigrant family in Vancouver where Confucian doctrines, superstitious obsessions and divine visions abound. When Buddhism and Catholicism are thrown into the mix, life for Eve and her 11-year-old prim and authoritative sister, Karena, escalates into a fantasia of catastrophe, sainthood and cultural confusion. Left to right: Hollie Lo as Karena and Phoebe Kut as Eve. Photo by Chris Helcermanas-Benge. Phoebe Kut as Eve. Photo by Chris Helcermanas-Benge. 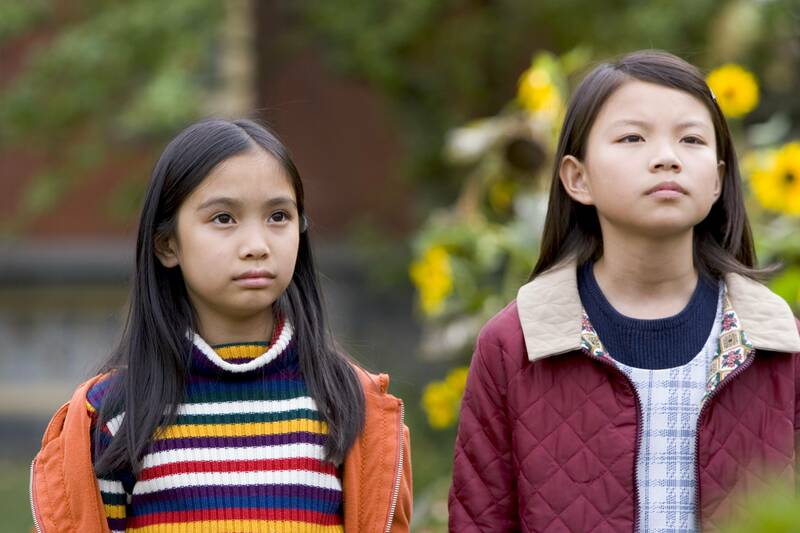 Left to right: Phoebe Kut as Eve and Hollie Lo as Karena. Photo by Chris Helcermanas-Benge.